The last of those is what’s most distinctively at issue here. The book’s been widely reviewed, and most reviewers seem to have been especially struck by its vivid account of the relationship between empire and ecological upheaval. But Ghosh’s reflections on the history of the novel are probably The Great Derangement‘s most original contribution to the discourse on the Anthropocene.To the extent that this is a book about the Anthropocene, I think it’s best read alongside Timothy Clark’s Ecocriticism on the Edge. Ghosh is fascinating on imperial geography on the coastlines of Asia. He’s bewildered by tall colonial cities built on the low edges of oceans, regardless of the likelihood of storms and surges, “a certain precariousness […] thus etched upon them from the start” (p. 39). I’d never heard of Port Canning, a doomed mid-nineteenth century attempt to build a great port in a flood-prone part of the Sundarbans. In Ghosh’s telling it becomes a remarkable synecdoche for the follies of colonial urbanism (pp. 56–58). There’s a gripping deep dive into the potential vulnerability of Mumbai to a direct hit from a cyclone: the Arabian sea, though it used to be much less vulnerable to cyclones than the Bay of Bengal, is getting stormier. The book is penetrating about the history of carbon economies and their subordination to state power, about the prospects for climate politics, and about the current state of environmental sensibilities. (“Climate change has not been a significant issue” in popular political feeling anywhere in South Asia, it reports depressingly, p. 126). But the state of literary fiction, and its seeming inability to reckon with climate change, is Ghosh’s key theme. By “the great derangement” he means not only climatic breakdown, but equally the cultural forces that have enabled climate crisis and that continue to block efforts to ameliorate it. The modern novel—and perhaps the “progressive” artistic forms of the twentieth and twenty-first centuries in general—epitomise that culture of denial. Literary fiction seems to have closed its eyes to the realities of climate change. It hasn’t found a way to represent the dominant material reality of present times. It’s “as though in the literary imagination climate change were somehow akin to extraterrestrials or interplanetary travel” (p. 7). Not always, of course. Ghosh offers an interesting list of modern Anglophone “literary novelists” whose fiction does communicate a “specific sense of the accelerating changes in our environment”: “J.G. Ballard, Margaret Atwood, Kurt Vonnegut Jr., Barbara Kingsolver, Doris Lessing, Cormac McCarthy, Ian McEwan, and T. Coraghessan Boyle” (pp. 124–25.) Add Ghosh himself to that list and you have a great reading list for a module on Environmental Change in Modern Fiction right there. But the word literary is doing ambiguous work in this context. To write about climate change, Ghosh says, is “to court eviction from the mansion in which serious fiction has long been in residence; it is to risk banishment to the humbler dwellings that surround the manor house … ‘fantasy,’ ‘horror’ and ‘science fiction’” (p. 24). Ghosh deplores that division between the manor house and the outhouses. But is it really as sharp a divide as he claims? It would certainly be possible to find practitioners of something very like a literary science fiction whom Ghosh doesn’t mention—China Mieville, for instance. (It’s striking that Adam Trexler’s much-discussed survey of climate change novels, Anthropocene Fictions, isn’t referred to at all.) But it isn’t very useful to pick little holes in observations that are avowedly meant as productive generalisations. More telling are some instances that Ghosh does mention. He cites surrealism and “most significantly” magic realism as counter-examples to his thesis, but doesn’t follow up that thought. And what about his list of great “literary novelists” itself? Aren’t (at least) Ballard, Atwood and Lessing sci-fi novelists too? Still, this doesn’t really get at the heart of The Great Derangement. I don’t disagree with Ghosh that there has seemed to be some kind of deep-rooted, oil-and-water incompatibility between serious fiction and the representation of climate change, no matter how question-begging that phrase serious fiction is. And Ghosh writes really incisively about a kind of secular Protestantism in modern political culture. That is, politics as moralised into “political performance” or “political virtue.” He cites the framing of climate change as an issue of individual morality and private sacrifice as just one example of the warping of politics into “a search for personal authenticity” (pp. 127–35). So to disagree with Ghosh on the grounds that Atwood and Lessing are both literary and sci-fi novelists is to remain stuck on the level of individuality that he criticises. Ghosh is aiming at something deeper: something structural. Ghosh’s argument goes something like this. The bourgeois novel defines itself through a series of ever more subtle exclusions. Whereas premodern storytelling thrives on the improbable, the extraordinary and the picaresque, the novel works first by stripping out the supernatural and miraculous in the interests of realism, and then by managing, concealing or “scaffolding” even the coincidences and improbabilities that it does permit, in order to integrate them into a narrative that fulfils aesthetic ideals of coherence and orderliness. Those aesthetic ideals grew up in parallel with developments in other spheres, like statistics: “probability and the modern novel are in fact twins” (p. 16). The two most germane other spheres or parallel narratives were, first, biopolitics, which reduced populations to a knowable and manageable set of deviations around pre-established norms; and, second, the uniformitarian Earth sciences, which figured the Earth itself as susceptible to prediction and probabilistic management (hence the willingness to build a vast city like Mumbai across a scatter of low-lying estuarine islands). Thus, the founding gesture of the “realist” novel is in effect the elision or bracketing of reality itself. It conjures “a sense of place” precisely by eliminating the world in favour of a finite “setting” (pp. 58–59). 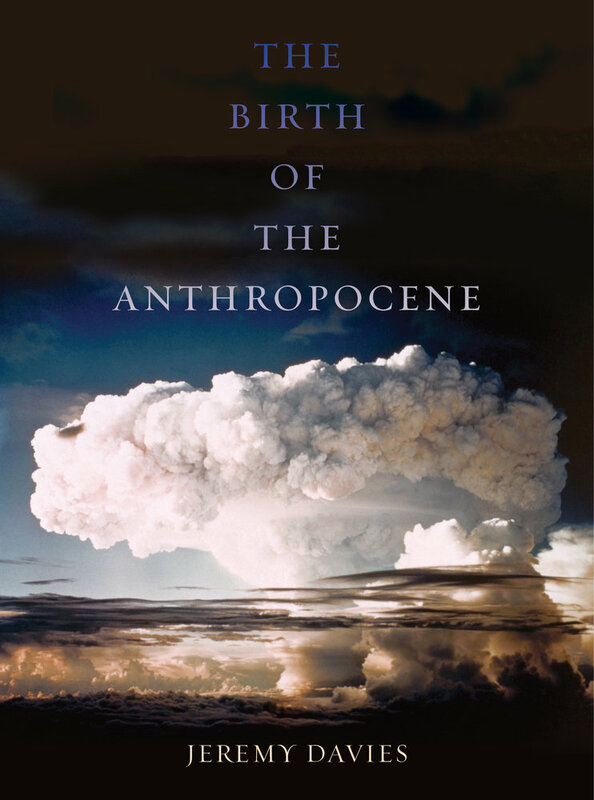 “I suspect that human beings were generally catastrophists at heart until their instinctive awareness of the earth’s unpredictability was gradually supplanted by a belief in uniformitarianism,” Ghosh writes (p. 25). Much was lost by permitting those instincts to be overriden. Now, of course, those bourgeois assessments of probability have come unstuck in the physical world, and the Earth sciences have had to re-learn catastrophism. But “the literary novel has … remained true to the destiny that was charted for it at birth” (p. 27). It hasn’t yet broken out of its uniformitarian phase. Flaubert is Ghosh’s conventional example for the perfection of the bourgeois novel. But things haven’t got any better in the twentieth century. On the contrary, modernism meant only a further intensification of the literary novel’s self-regarding inwardness. Even the limited apertures of nineteenth-century realism were closed up as observation was replaced by a preoccupation with style. Turning from the figurative to the abstract and reflexive meant a still more thoroughgoing excision of the nonhuman. That further inward turn is what finally issues in the conception of politics as a practice of personal virtue and authenticity. Again, this grand narrative of Ghosh’s is vulnerable to any number of querulous counter-examples. Doesn’t Joyce demonstrate on the biggest scale that modernist self-reflection is by no means incompatible with earthiness? When Ghosh extends his thesis from the novel to “most forms of art and literature” (p. 11), that really might be a bridge too far. Does the story that he tells really have much bearing on the evolution of music, cinema or poetry, for instance? Ghosh writes with real grace about the material forces of the birth of the Anthropocene, about “the stirrings of the earth [that] have forced us to recognise that we have never been free of nonhuman constraints” or “the archaic voice whose rumblings … [are no longer] inaudible to humanity” (pp. 119, 124). To awake to the “unseen presence” of nonhuman agents “is like finding out that one’s telephone had been tapped for years, or that the neighbours have long been eavesdropping on family discussions … can we help but suspect that all the time that we imagined ourselves to be thinking about apparently inanimate objects, we ourselves were being ‘thought’ by other entities?” (p. 31). Ghosh is careful about that “we,” however. If an awareness of nonhuman agency was ever “suppressed,” that suppression was only partial, transient, and relatively localised: localised to the thinking classes of the West, by and large. In fact, that seems to be precisely why Ghosh can credit the literary novel with such an important role in fostering an obtuseness to the “insistent, inescapable continuities” of the Anthropocene (p. 62). That obtuseness was always mainly an elite project, propped up by Western high culture and its derivatives. So what’s next? Ghosh ends with some sketchy remarks about how religious movements might come to play an important role in a more democratic environmental politics; he much admires Laudato Si’. But The Great Derangement isn’t a manifesto for a new kind of literary fiction that lets itself grow vulnerable to the representational challenge of climate change. Few would be better placed than Ghosh to issue that manifesto. Nonetheless, his assessment is bleaker.